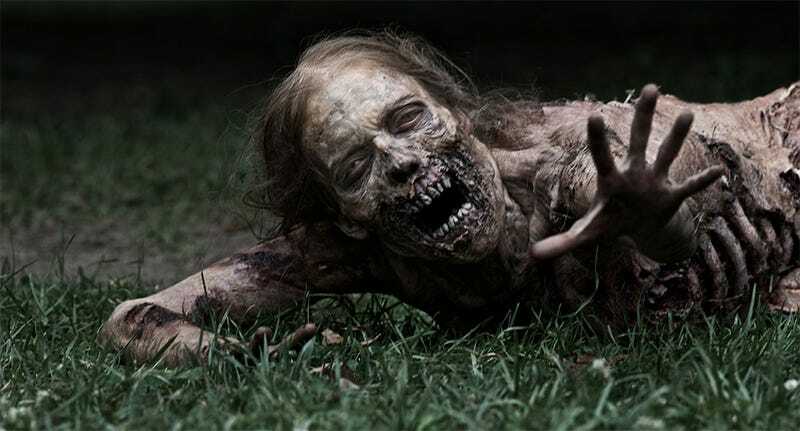 The United States military has a plan to help defend you from the zombie apocalypse. It's a real plan, made by real military personnel, using real taxpayer's money. Called CONOP 8888-11 "Counter-Zombie Dominance", it is incredibly detailed. You can check it out, in full, below. So it's a joke, right? Well, yes and no. The plan was written up a few years back during an exercise at the U.S. Strategic Command in Omaha, Nebraska. Foreign Policy writes staff there "looked for a creative way to devise a planning document to protect citizens in the event of an attack of any kind". Since plans for stuff like nuclear and biological attacks existed, they went with zombies. So the subject matter and inspiration may be a joke, but in terms of getting them to flex their muscles and come up with a plan for everything, it appears to have been a success, one in which they deal with "evil magic zombies" about as seriously as you could possibly do it. This thing is so comprehensive you'd think it was written by Max Brooks with the help of 117 Pentagon staffers in a world where zombies actually exist. It covers everything, from how we'd react to a zombie apocalypse to training methods to how to dispose of zombie corpses. If you're a fan of stuff like World War Z, the full report is excellent reading.